Almost exactly a year ago it was announced that director/comic book artist Rob Schrab (Community, The Mindy Project) would mark his feature directorial debut on The LEGO Movie Sequel, the eagerly-awaited follow-up to the worldwide sensation The LEGO Movie. Now The Hollywood Reporter brings word that Schrab has exited directing duties over the usual “creative differences,” and animation vet Mike Mitchell (Trolls, Shrek Forever After, The SpongeBob Movie: Sponge Out of Water) has taken over. 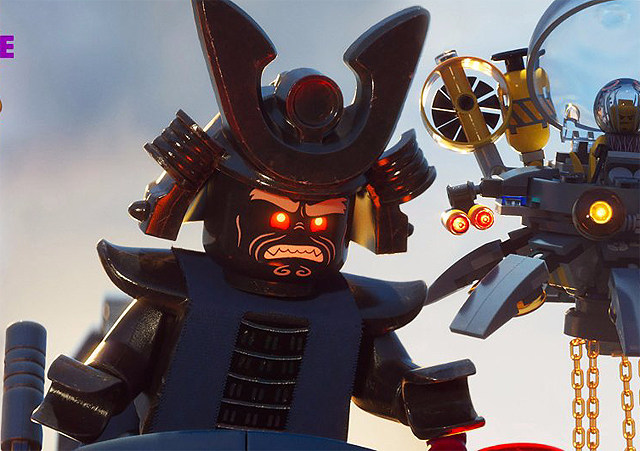 At the same time USA Today has posted the first still from Warner Bros. Pictures spin-off The LEGO Ninjago Movie, which you can check out in the gallery below! Phil Lord and Christopher Miller, who wrote and directed The LEGO Movie, wrote the first draft of the sequel script based on a story by Lord, Miller, Jared Stern and Michelle Morgan. It was most recently re-written by BoJack Horseman creator Raphael Bob-Waksberg. In addition, Lord and Miller will serve as producers, alongside returning producers Dan Lin and Roy Lee. The LEGO Ninjago Movie, meanwhile, is directed by Charlie Bean (Tron: Uprising, Robotboy) and written by Ninjago: Mastes of Spinjitsu scribes Dan Hageman and Kevin Hageman. Phil Lord and Chris Miller will produce with Roy Lee and Dan Lin. Look for the film to debut in theaters September 22, 2017. The LEGO Movie Sequel is set for release on February 8, 2019.